Brad Pedersen is a seasoned attorney with deep understanding of high technology, start-ups and patent law, coupled with a passion for innovation and telling the stories of entrepreneurs. With more than 30 years of experience in patent prosecution and transactional IP law, Mr Pedersen serves as chair of the patent practice group at Patterson Thuente IP and focuses primarily on post-grant proceedings at the US Patent and Trademark Office, patent prosecution strategy, licensing and litigation. His clients are innovators in high-technology, computers, software, and medical devices. As an inventor, entrepreneur and former in-house counsel, Mr Pedersen has a real-world foundation from which to create effective IP portfolios and strategies. Mr Pedersen serves on the board of directors of the American Intellectual Property Law Association and is co-author of the Bloomberg Bureau of National Affairs treatise, Patents After the AIA (America Invents Act): Evolving Law and Practice (2016). Mr Pedersen is a named inventor on more than a dozen issued US patents on technologies ranging from medical devices to unmanned aircraft. He is the first patent attorney to have completed Singularity University’s executive programme (2010) and is an advocate for promoting a better understanding of the impact of exponential technology on intellectual property and the world. As an attorney well-versed in both interferences and inter partes re-examinations, Mr Pedersen was an early advocate for the post-America Invents Act review proceedings and has successfully represented both petitioners and patent owners in inter partes reviews over the past five years in more than two dozen different proceedings. He has successfully argued appeals of some of those proceedings at the Federal Circuit – for example, the appeal of an inter partes re-examination in which the Federal Circuit upheld the Patent Trial and Appeal Board’s decision. 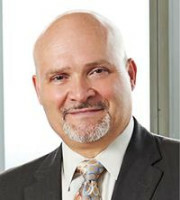 As in-house counsel for Angeion Corporation – an implantable defibrillator start-up – Mr Pedersen was responsible for the development and management of a portfolio of more than 250 patents and applications that ultimately generated over $70 million in licensing revenue when the company decided to exit the industry.